Ivanti can detect and record changes in device hardware and software. Tracking inventory changes can help you control your network assets. Inventory change settings let you select which types of changes you want to save and with what severity level. 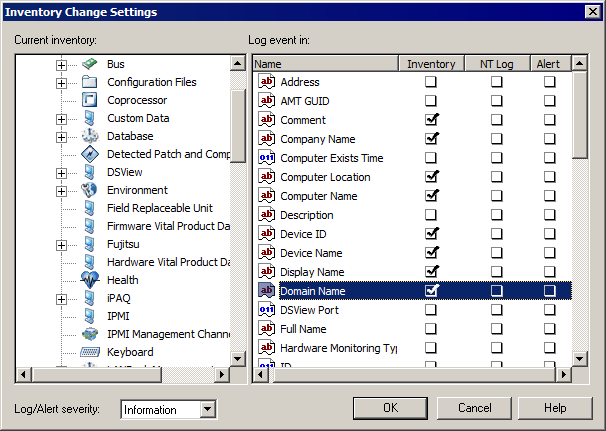 The selected changes can be saved in an inventory history log, the core server's Windows event log, or sent as an AMS alert. You can view and print a device's history of inventory changes. Additionally, you can export the inventory changes to a CSV formatted file for analysis using your own reporting tools.